Metalforming companies expect business to remain steady for the next three months, according to the September 2018 Precision Metalforming Association (PMA) Business Conditions Report. The monthly report, a sampling of 110 metalforming companies in the United States and Canada, shows that 28 percent of participants forecast an improvement in economic activity during the next three months (compared to 29 percent in August) and 62 percent expect no change (the same as last month). Only 10 percent anticipate a decline in activity (up slightly from 9 percent in August). Read more. Demonstrating its long-term commitment to the United States market, an executive team from Switzerland-based Bystronic Laser AG joined representatives of Elgin, IL-based Bystronic, Inc. last week during an official groundbreaking ceremony for Bystronic's U.S. corporate headquarters, scheduled for completion next summer in Hoffman Estates, IL. Read more. Following its acquisition of Sandvik Welding Consumables earlier this year, Esab Welding & Cutting Products, Annapolis Junction, MD, announced that beginning November 1, the Sandvik products will go to market under the name, Exaton, an Esab brand. Sandvik website and mobile-app content will transfer to the Esab site. The Exaton portfolio includes solid welding wire and rods, electrodes, flux, thermal spray wire and weld-finishing chemical products. Read more. ARKU manufactures dual-sided deburring, edge rounding and oxide removal machines which clean up parts/sheets after the following cutting processes; laser, fiber, plasma and oxyfuel. This allows for improved downstream processing and higher quality output for your production while simultaneously saving you time and money. Read more! MetalForming magazine is seeking nominations for its 3rd Annual Women of Excellence in Metalforming and Fabricating section, to run in the December 2018 issue. The section will feature and honor those selected as a means to recognize and promote the importance of women in the metalforming and fabricating industries. Read more. 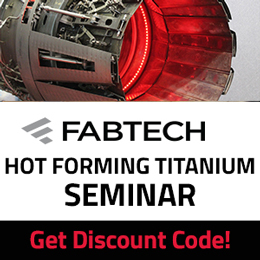 Executing a Successful and Accurate Die Simulation will provide important information on this challenging task, as experts David Lindermann of 3D Systems and Bryan Houston of AutoForm Engineering USA, share their insights and experiences. Learn more and register. 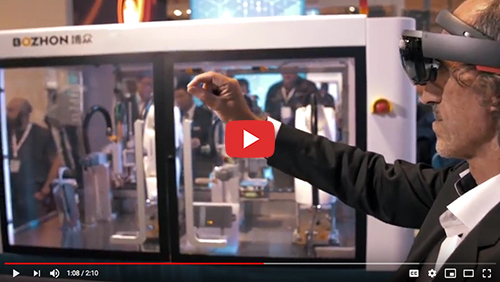 Siemens experts show and discuss artificial intelligence, augmented reality and more. High-rail gantry systems enable AP Services to reduce gasket-cut times from hours to minutes. What is organizational change and why it matters, or should. See also: ARKU, Inc., Beckwood Press Company, IQMS Manufacturing ERP & MES, Heyco Metals, Inc.